The Pacific Northwest has been home to me for over 40 years… I can’t imagine a more ideal, versatile place to live. We are situated in a perfect little hub where in any direction you head a different, magical experience awaits. This is true within the city, discovering niche neighborhoods or venturing out further & finding yourself standing on a beach with your toes in the sand, exploring the plant life of a high desert or swooshing down a snowy mountain side. Although my counter-part is a loyal Duck fan, I have to give props to the OSU Beavers because I was raised in Corvallis & I bleed orange & black even though I majored in Communication Studies at PSU. I have lived & worked in the Portland Metropolitan area for 20+ years. I have two children attending Portland Public Schools at the middle & high school levels & I am a member of the PTA, school foundations & Booster Club. My entrepreneurial spirit has allowed me to experience building new business in the areas of floral design, special event planning, boutique operation & real estate. Through each of these opportunities, I have developed a tenacious work ethic, dynamic interpersonal communication skills, solid management experience, exceptional organizational ability and an aptitude for creative problem solving. I have been a real estate broker since 2004 and have learned valuable experience every step of the way. My first priority is to support Betsy & exceed our clients’ expectations in professionalism, commitment and client care. 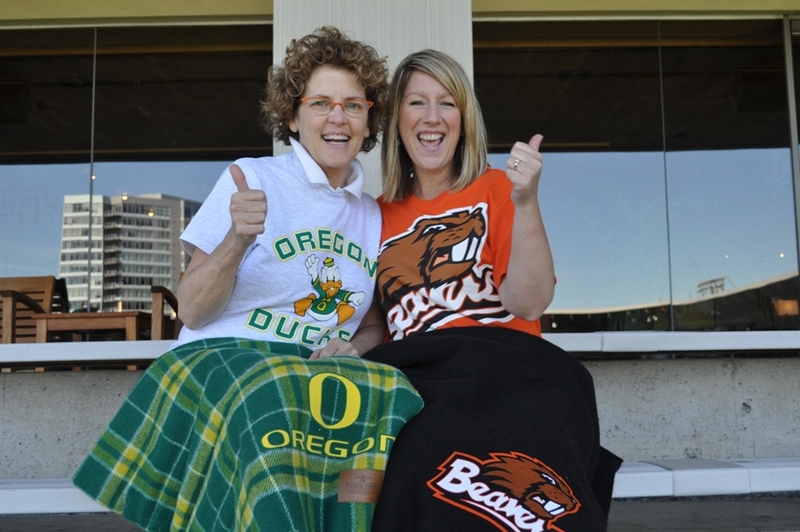 Duck or Beaver... We've got you covered!